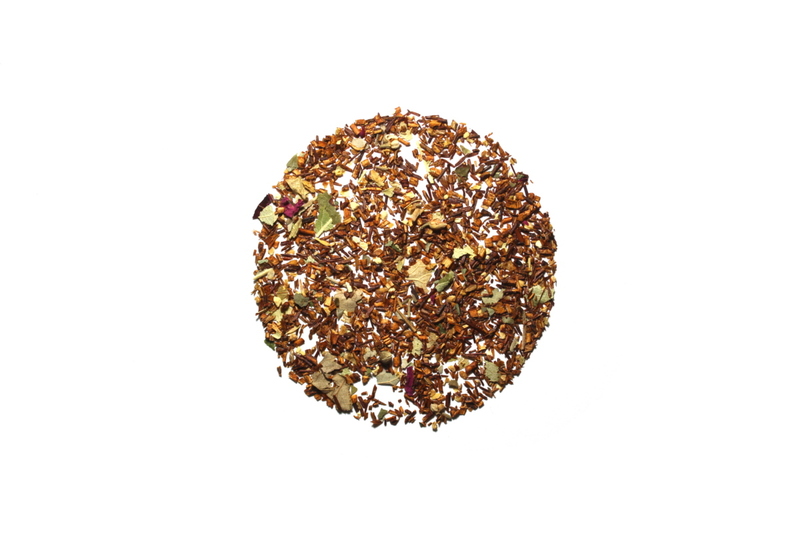 A rooibos blend with linden blossoms, rose petals, lemon and orange granules. When the well known flavor of rooibos is combined with the cold fighting power of linden blossoms, this tea is a solid pick even no matter the day or your mood. I'm a fan of citrus flavors in tea, and this one is no exception. Great blend of flavors with the rooibos. Interesting take on a Rooibos tea, it has a very spring feel, but the citrus taste is a little overwhelming if you are not into citrus tea. This tea is very well balanced. It's not too floral or sweet and is overall very smooth and delightful. I'll be purchasing this in the future!